There has been tension in Okpella community, Etsako East Local Government Area of Edo State following the mining war between two giant companies in the production of cement in the country, the BUA Group and Dangote, over a disputed mining site in Obu community in Okpella. The disagreement between the two companies have polarized Okpella community, as supporters of both parties commenced the beating of drums of war heightening tension in the community. Both Dangote and BUA are laying claim to a juicy mining site in Obu but worried by the tension, the Federal Government through the Ministry of Mines and Solid Minerals, last week shut down the site until the pending cases on the issue before the courts are resolved. The mining war in that area over the years had led to loss of lives and property particularly with the boundary crisis in that same axis between Edo and Kogi states who are equally laying claim to some mining sites in Edo state, where they excavate limestone used in the production of cement. The tension in the area forced elders and leaders of Okpella community to storm the Edo state Government House last Monday, to express their concern over the war between the two parties and as it affected the community. In a letter signed by their counsel, Dr Ayuba Giwa, addressed to President Muhammadu Buhari, the Okpella community gave a background of the crisis, saying, : “BUA International, as a result of the privatization or commercialization of Edo state Cement Company Ltd, became the owner of the assets of that company including mining titles of ML 18912 and 18913. For Dangote Group, they bought the ML2541 from AICO (Alhaji Ado Ibrahim) for which it is entitled to take possession as long as the co-ordinates of the cadastre units that constitute ML2541 can be located on mother earth and that BUA International through OBU Cement Ltd trespassing on the cadastre units of its acquired ML2541 and as such ought to be restrained”. Okpella is blessed with mineral resources such as limestone and that is their major source of revenue. But since the commencement of hostilities in the area, armed soldiers have taken over the environment which has virtually crippled economic activities. Before now, the youths of Obu village where the disputed mining site is situated were either staff of Dangote or BUA but because of the dispute some of them have been laid off and have been facing economic hardship. The war between the two investors who are both from Kano State, have pitched the community youths against one another, brewing animosity and hatred among brothers and sisters of Obu village in Okpella, which Okpella elders tried to address. There were reports of brothers fighting themselves at the disputed site just to protect the interest of their employers. Dr Ayuba Giwa, who summarized the situation when speaking to Vanguard at Government House shortly after the meeting with the Governor, said that ¨what we are saying in our letter to the Presidency is that we blame the Federal Ministry of Mines and Solid Minerals that they ought to be more prudent in granting mineral license. We implored all parties to abide by the rule of law and the rule of law includes the fact that in 1994, Okpella took this matter to the Federal High Court in Benin and judgment was given in favour of Okpella but it dawned on us that the Ministry was not complying with the judgment which was partly responsible for this debacle we are now. So, it is not just BUA and Dangote that are in court, Okpella is also in court. It is therefore fair and just that the matter is resolved including the interest of the community and Edo state because any breach of peace impacts on our people first and foremost and that was why we came to see the governor. Again, I don’t know how Kogi state came into this matter because Obu right from 1954 has been in the Western region, in the Midwest, in Bendel and now in Edo state. That is why we are blaming the Ministry for misrepresenting the situation. That erroneous description that Obu is part of Kogi state is part of the problem but the geographical coordinates of Obu marble are known, we know them off hand. We have taken that issue to court and the court has pronounced that all Mineral titles to be processed concerning Obu should be processed through Edo state and that was the judgment of the Federal High Court in 1994. So the interest of Edo state and Okpella people should also be taken into consideration when resolving this matter. We believe that with the abundance of raw materials in Obu, we have limestone deposits in at least seven sites in Okpella, and out of these seven the contentious one is the one in Obu. We want these parties to be reconciled to that they will all be in business. We prefer this as a community so that our youths will have employment and we will enjoy development. You can imagine BUA and Dangote not operating in an area where we have large mineral, it is not to the community’s advantage or that of the state government”. 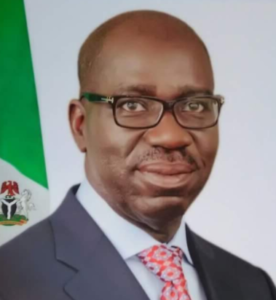 Governor Godwin Obaseki who announced the closure of the disputed site, noted that parties involved in the crisis are in court, therefore the Federal Government had decided that further mining in Obu community be suspended to allow peaceful resolution of the crisis in court. According to Obaseki, ¨We are following the rule of law, there is a dispute, it is not unusual to have disputes over assets but there are laid down methods of resolving disputes of this nature. What we understand as a government is that there is dispute or claim between two parties over an existing mining right and the mining act of 2007 is quite clear, the Federal Ministry of Mines decides on how to award or issue leases. In this particular case, there are multiple claims and they have all gone to court. We have a letter from the Federal Ministry of Mines and power instructing that the party currently mining that particular site should vacate pending the outcome of the decision in court. So the position of Edo state government today is that court orders must be obeyed, Federal Government´s instruction should be obeyed, that mine should be shut until the outcome or the determination of the case in court¨ he stated. But shortly after the pronouncement of the governor, BUA faulted the closure of Obu mines saying that the state government has no jurisdiction over mining. “It is however interesting to note that the mines under contention ML2541 have been claimed by the Ministry of Mines and Dangote to be in Okene, Kogi state. Thus, we are curious and are at great loss as to why the governor of Edo state is closing down a mine in Edo state which has been claimed by the other parties involved to be outside his state in Okene, Kogi state and which the purported ML2541 license also states clearly. The Ministry has written us earlier and our response was published in our open letter to the President of the nation on December 4, 2017. This case is before a competent court which has ordered all parties; BUA, Dangote and the Ministry of Mines and others to maintain status quo and we will continue to abide by the dictates of the court as a responsible corporate citizen. We are however yet to receive any official communication asking us to close our mining sites ML18912 and ML18913 in Edo state. So this alleged closing down report still remains in the territory of hearsay. We will respond accordingly when and if we get official communication from the proper authorities”. The post Tension heightens in Edo community over closure of mining site appeared first on Vanguard News. Previous Why your governor is in a panic?